If you’re a true foodie in the Bay Area then you’ve probably heard of chef Corey Lee, former chef de cuisine for seven years at Thomas Keller’s three Michelin star restaurant The French Laundry in Yountville. Now chef Corey Lee has his own three Michelin star restaurant, Benu, in San Francisco. His newest restaurant in the city, Monsieur Benjamin located in Hayes Valley, is a casual hip French inspired bistro offering modern takes of classic Parisian food. Monsieur Benjamin’s décor is sleek and clean with an open bar and kitchen. The menu itself is quite extensive offering a wide range of dishes from the raw bar, small bite-sized items, appetizers, main entrées, side dishes, and desserts. 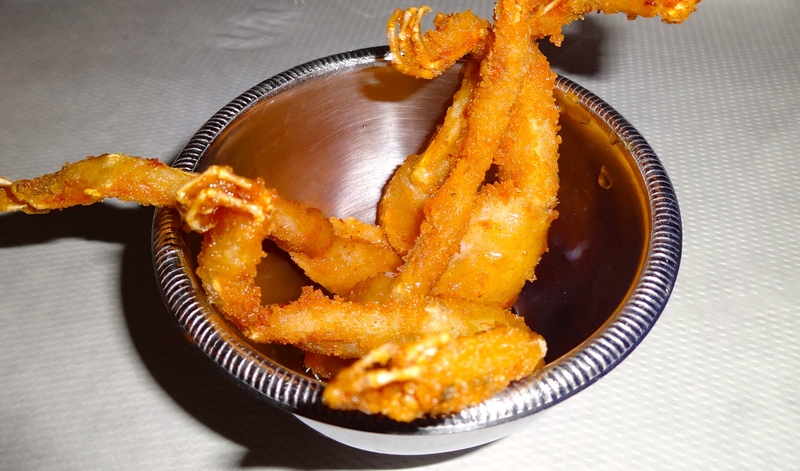 ￼￼￼￼Fried Frog Legs en Aigre Doux with Garlic and Lemon (7.5/10). Potato, Leek, and Gruyère Cheese Croquettes with Herb Crème Fraîche (7.5/10). Our party ordered family style so we could share the many menu items that all sounded mouth-watering. We started off our meal with bite-sized items such as the fried frog legs and the potato and leek croquettes. The fried frog legs, tender and moist meat with a golden crust served with a sweet and sour sauce, were cooked flawlessly. 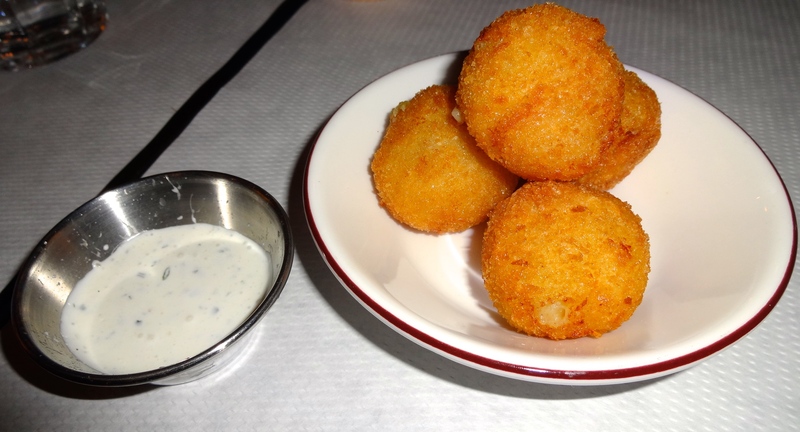 The potato and leek croquettes were also appetizing but could have used more Gruyère cheese flavor. 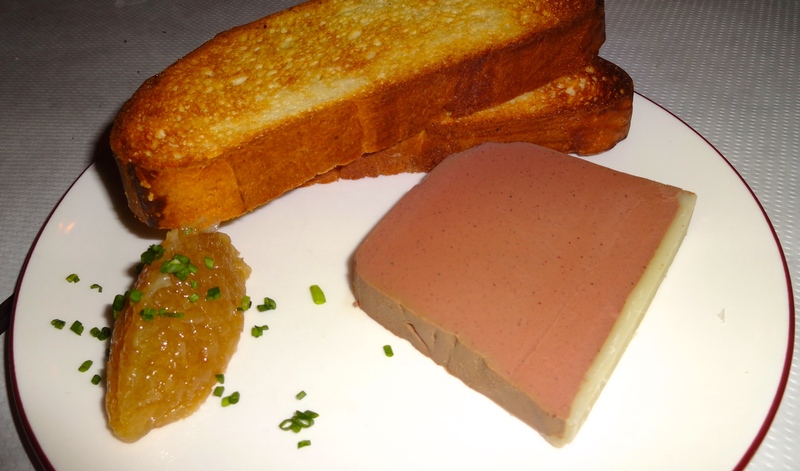 Chicken Liver Terrine with Apple Compote and Brioche (8.5/10). After living in Florence, home of fegatini (chicken liver pâté) for so long, I’ve become obsessed with chicken liver! 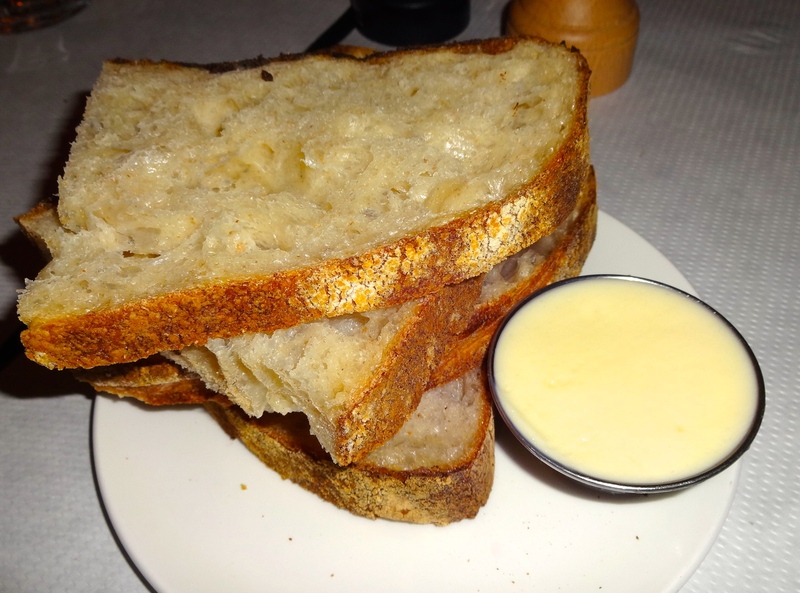 The chicken liver terrine was well made with a creamy thick texture and rich deep flavor that paired perfectly with the sweet yet tart apple compote and buttery brioche. Steak Tartare with Egg Yolk and Pissaladiere Lavash (8/10). 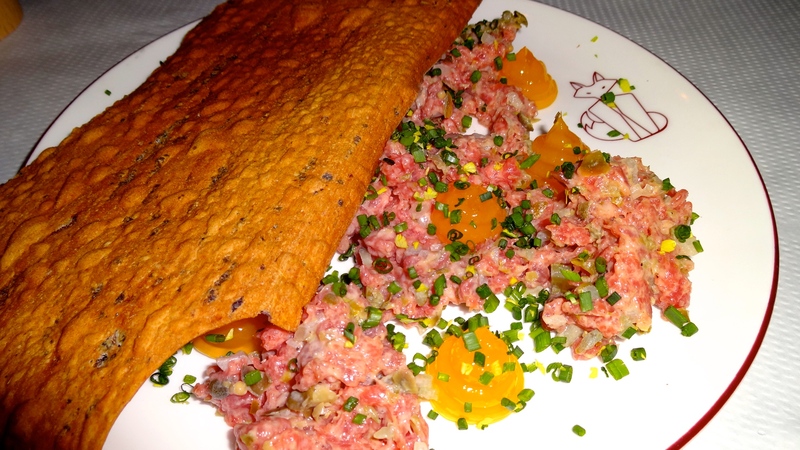 The steak tartare was well seasoned with capers and shallots with creamy egg yolk dots. 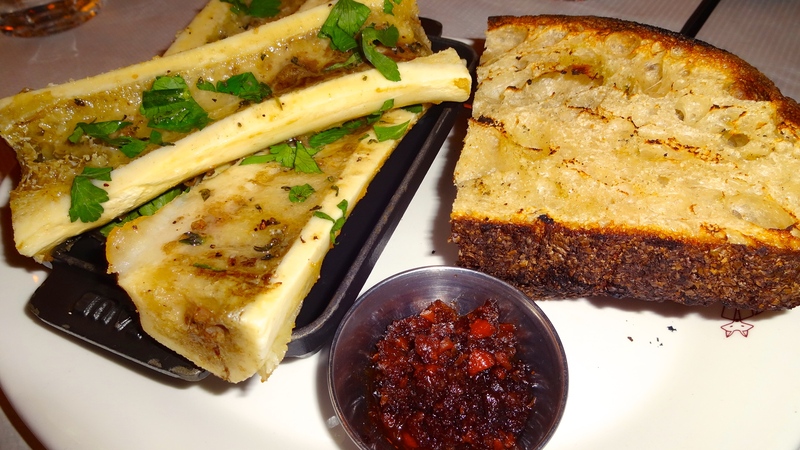 Bone Marrow with Bacon Marmalade and Country Bread (7/10). The bone marrow was good but nothing that special. However, I loved the accompaniment of bacon marmalade. 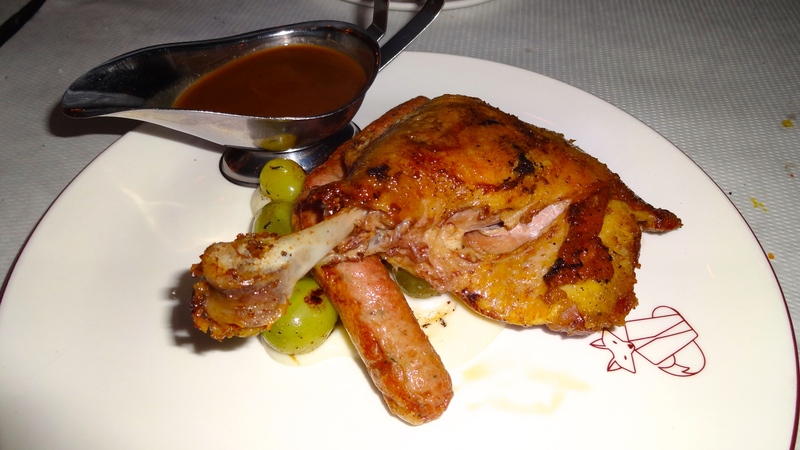 Duck Confit with Sausage, Turnip, Grapes, and Sauce au Poivre (8.5-9/10). The duck confit, a leg of richly tender flaky pieces of meat with porky sausages, sweet juicy grapes, slight bitterness from the turnip, and an of out of this world sauce flavored with peppercorns and cognac, was perfection on a plate. Yum! Palmier Ice Cream with Calvados Caramel (8.5/10). ￼Gâteau Marjolaine with Hazelnut Praline and Crème Anglaise (8.5/10). Now no good meal would be complete without dessert, of course! 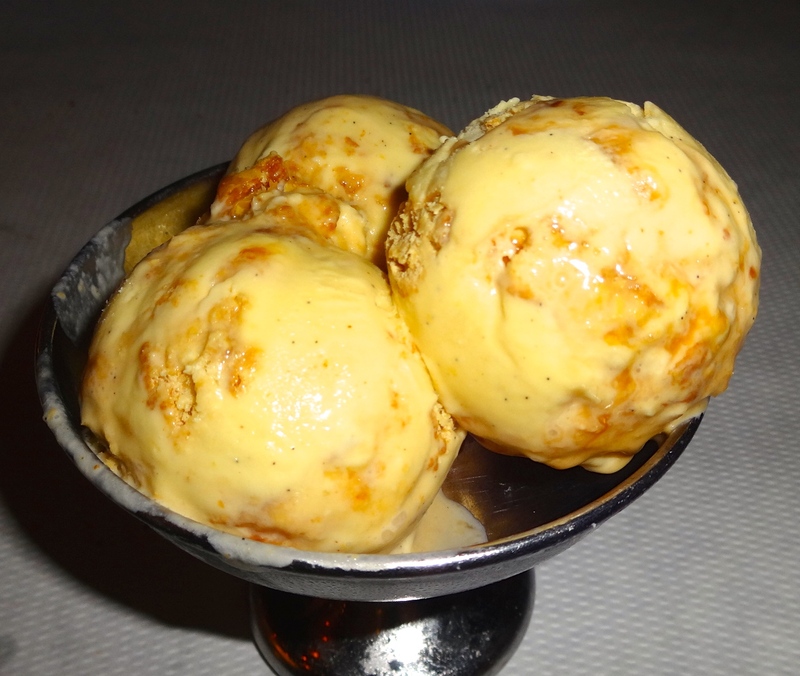 The palmier ice cream was scrumptious with gooey caramel and crunchy toffee bits. 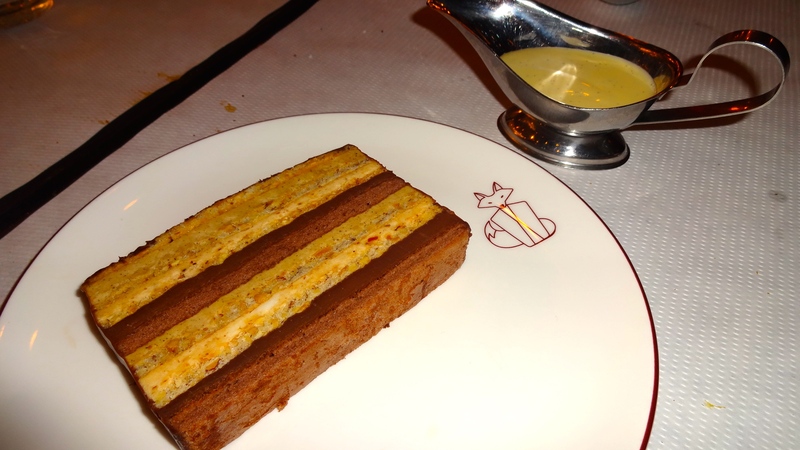 The ￼gâteau marjolaine, a classic multilayered French cake, was superb with rich crème anglaise. Monsieur Benjamin offers delicious French inspired food in a fun and lively atmosphere and therefore I would rate my experience there at a 8.5/10. I can’t wait to return to the restaurant to try other specialties on their menu! Pingback: Review: Monsieur Benjamin 2.0. | Sale, Pepe, Amore.